Together with Winning Group Holdings, Invigor Group (ASX:IVO) has today announced that the duo has secured the rights to deploy WeChat Pay into Japan. On top of that, the scope of the previous MOU with Winning — and therefore WeChat’s parent, Tencent Holdings Limited (HKG: 0700) — has been broadened. The term of the agreement has been expanded to make indefinite, and IVO will integrate its Loyalty solution in the WeChat platform for South-East Asian and Japanese markets. These are major developments for the ASX small cap and underpin its evolution into transaction-based operations alongside WeChat’s international expansion. 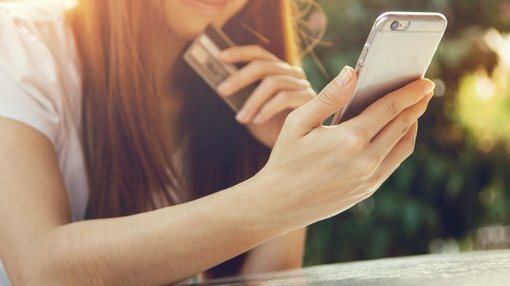 IVO and Winning now have the rights to deploy WeChat Pay in three major markets in Japan, as well as Singapore and Hong Kong, including with high-end multi-label fashion brands to a large number of Chinese tourists. The company’s expansion into Japan has been driven by negotiations with two internationally recognised brand groups that have expansive retail footprint in Japan, Singapore and Hong Kong. These brands have wanted the WeChat Pay solution, given their respective retail presence in the region. Furthermore, the fact that they are all large Chinese tourist markets provides a great opportunity for major brands to increase customer acquisition and share-of-wallet, enabling them to grow profits through sophisticated loyalty programs powered by IVO’s IP within the WeChat ecosystem. The small cap has confirmed that negotiations with both parties are at a very advanced stage. Revenue-sharing terms have already been agreed, with contract signings pending on EFTPOS integration and finalisation as to which labels wish to deploy WeChat Pay. Japan represents an important market for both IVO and Winning, given it is one of the top three destinations for Chinese tourists, many of which now use WeChat Pay. In the first half of calendar 2018, over 4 million Chinese tourists visited Japan, a 23% increase year on year. Chinese tourists are the largest in Japan by number and spend the most in dollar terms on shopping. With a broadened contract signed on 22 November replacing the previous MOU, key elements have included the expansion of the term of the agreement from three years to making it terminable by mutual agreement. Furthermore, Winning will leverage its partnership with Tencent so IVO can develop ‘over-the-top’ loyalty solutions for WeChat for the three markets. IVO’s Loyalty solution, specifically its Shopper Insights technology, gives brands the ability to deeply understand their customers in order to engage with them in more personalised ways. It also enables them to influence and reward shoppers daily, thereby increasing long-term loyalty. “Expanding into Japan is a major coup for Invigor and Winning,” Invigor CEO, Gary Cohen, said of today’s announcement. “We now have a footprint in three very large markets and two of the most visited destinations by Chinese tourists, many of which will want to use WeChat Pay for their purchases. “This geographical expansion and the increase in scope is noteworthy for several reasons. Firstly, it reflects the appeal of Invigor’s Loyalty solution for WeChat, and the technology in delivering sophisticated loyalty capabilities for both merchants and shoppers. “Secondly, key elements include the expansion of the agreement from the existing three years, providing security of tenure. Thirdly, these developments have been driven by the customers with which we are negotiating revenue-generating deployments. “Both are major global groups and collectively speak for a large number of major fashion brands. Understandably, they want WeChat Pay for as many of their stores in South-East Asia and Japan, and they see broad appeal in what Invigor and Winning can deliver. “We are in final stage negotiations with both groups, and while negotiations have been slightly longer than anticipated, these will be transformational contracts for Invigor and will act as visible and high-profile reference points for our WeChat Pay-backed expansion. As well as these two very advanced contracts, we have further opportunities in our pipeline,” Cohen said. This latest piece of news comes on the heels of another important development for IVO — as the company announced yesterday, it has extended its partnership with Microsoft. This gives IVO a global sales platform and network for which to promote and sell its Loyalty and Pricing solutions.